Jim McGuffin of Neptune Beach is in the plywood import business and Aaron Bowman of Jacksonville works in the ship repair and construction industry. And their views about a new service reducing airport security wait times are as different as their professions. 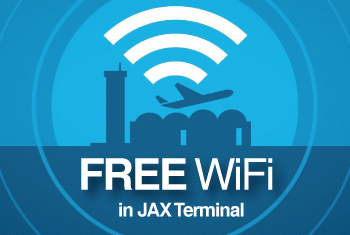 The fee-based program, called Flex, was launched Friday at Jacksonville International Airport. It allows participating travelers to jump to the front of the security line regardless of how busy it is. Flex customers must still go through the full security process, but airport officials and the company that provides the service say it will cut curb-to-gate wait times drastically at peak hours. The company, Priva Technologies of California, said the service is being marketed especially for frequent business travelers. Background checks are not required. The cost is $150 a year, though for a limited time the cost is $100. “And if you don’t travel that often and you get to the airport and the line is long, you can get to the front of the line for $20,” said Fred Fischer, Priva’s senior vice president of sales and marketing. Even at $20 for the day pass, McGuffin said, the service doesn’t interest him because he generally isn’t bothered by waiting to go through security. Besides, he flies maybe six times a year and always arrives early. “I’ve never waited more than five or 10 minutes, anyway,” he said. But Bowman, who flies at least twice a month, said he’s interested in the pass even though he arrives at the airport more than an hour ahead of his flights. Often he’s leaving the office for a late morning or afternoon flight. Knowing he can get through security without waiting in line would give him another 30 minutes in the office before having to leave for JIA. What would be better, Bowman said, is if the card would work at other airports. Fischer said that is in the works. Priva is negotiating with 23 other American airports to install the system. It’s also seeking an agreement with another company that operates a similar program in Orlando and Denver. 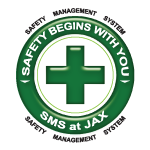 “The key word is ‘inter-operability,’ ” said Michael Stewart, a spokesman for JIA. That would allow customers carrying one company’s card to get through the line operated by a different company. It’s what used to be the case until 2009, when similar programs ceased at JIA and dozens of other airports because some of the operators went out of business, Stewart said. Flex and other programs like it are similar to the preferred flyer programs offered by some airlines for their top customers. It is not similar to the program the TSA runs that gets some passengers through security with minimum security checks, Fischer said. Passengers interested in the Flex program can purchase passes online at www.Go-Flex.com. Fischer said a kiosk will soon be installed at JIA enabling travelers to use a credit card to purchase passes at security.